Wildflower rose flower in a watercolor style isolated. 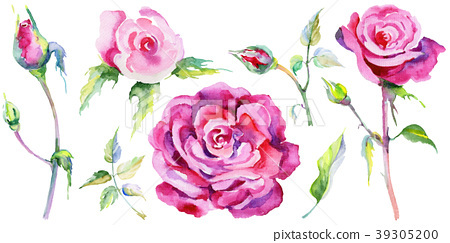 Full name of the plant: rose, rosa, hulthemia. Aquarelle wild flower for background, texture, wrapper pattern, frame or border.